Used predominantly for fishing, this ornament of this popular boat is an ideal gift for those who love to while away the hours on the waves. This Distressed Finish Trawler Assortment is available in cartons of 24. To find out more about our carton prices, get in touch with our helpful team. 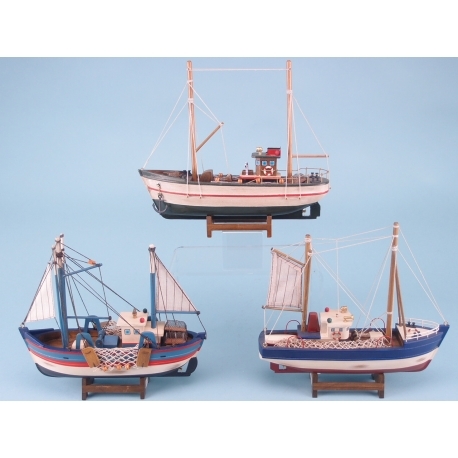 This charming Distressed Finish Trawler Assortment is a lovely ornament that is sure to be a hit with lovers of this much loved recreational boat. In a range of traditionally beautiful colours, such as red, blue and white, this distressed finish trawler assortment would be a lovely decorative ornament for any mantelpiece or shelf. Used predominantly for fishing, this ornament of this popular boat is an ideal gift for those who love to while away the hours on the waves. 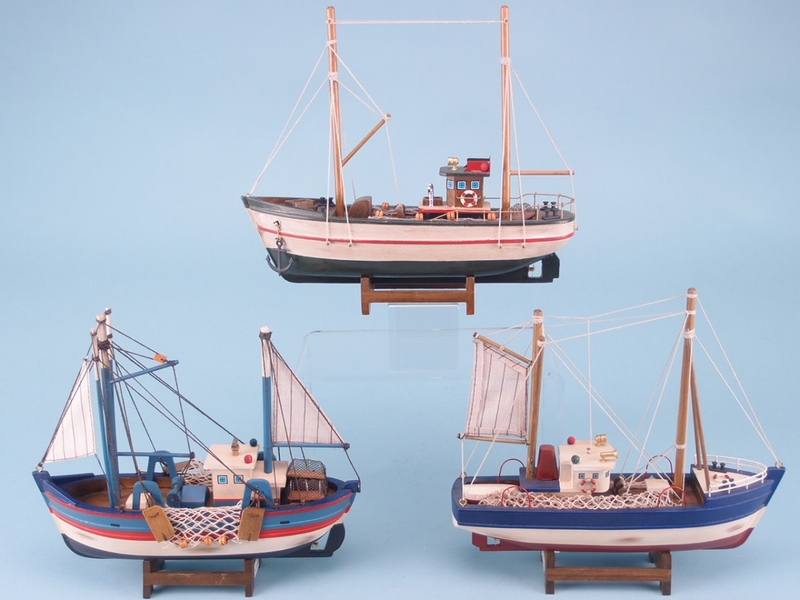 This Distressed Finish Trawler Assortment is sure to be a hit with nautical enthusiasts. To find out more about this product, get in touch with our helpful team.